I made this top from a pink and brown block exchange. 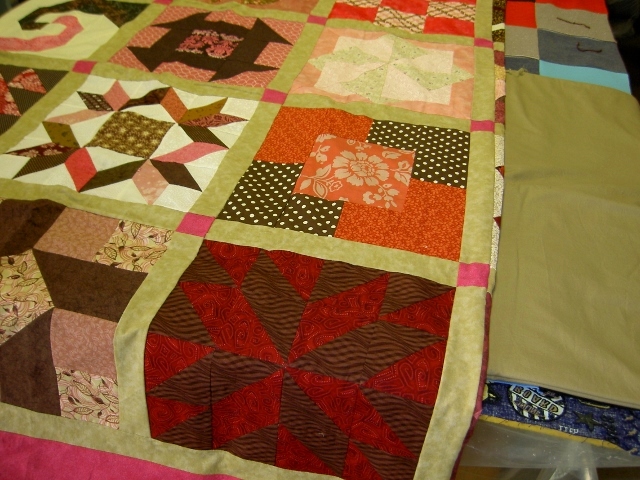 I'm not sure which fabric would look better for the backing --tan cotton or pink and brown floral flannel? What do you think? The first one looks too orange. It is really pretty pinks. Last edited by PurplePassion; 06-21-2013 at 10:23 AM. I second the vote for the floral. I think the floral also. How about the floral with a solid dark green flange (piping) inserted between the floral that green sashing? The floral is fabulous with it. The colors did not turn out right on here. The sashing is a tan mottled fabric. there is no green in the quilt. Foral is perfect for it. The floral makes it look quilty. Without a doubt the floral. It is a bonus that it is a flannel to boot. 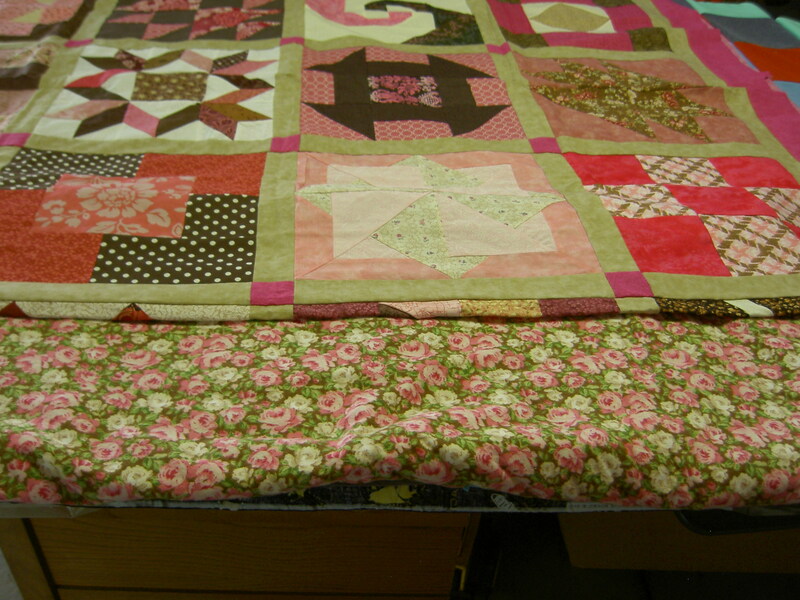 I love to back my quilts with flannel. Well I guess the floral flannel was a good find. I found it at a rummage sale. 7 yards for $5.00! Thank you everyone. I would go with the tan. I think you made a good choice going with the floral - the tan is nice but will show every little issue with the quilting (if there are any issues). If you use the floral, you can use both sides and they both will look good. Nice quilt! I would choose the floral if it was my quilt. I like the floral. It accents all the colors in the quilt and I love flannel for the backing - so cozy! I like the floral but I think it's just a little busy.